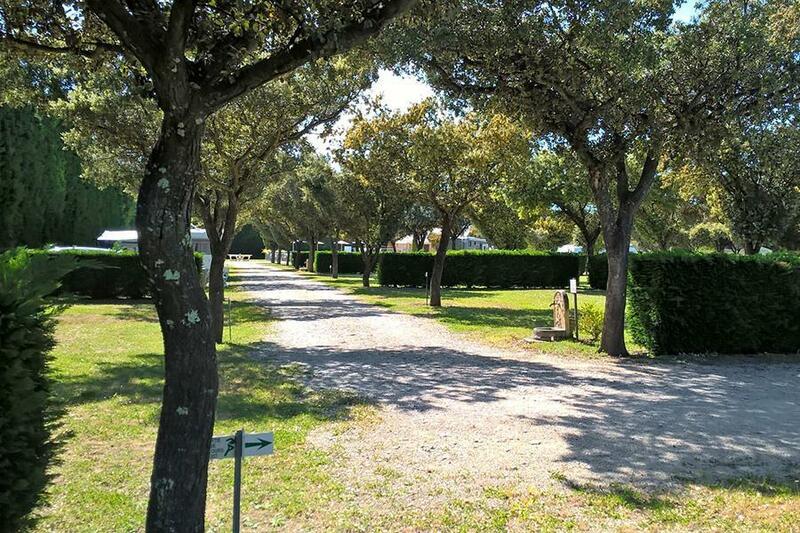 Camping des Favards is a campsite with 46 touring pitches. During low season, between 12-04-2019 - 05-07-2019 and 24-08-2019 - 28-09-2019, the nightly rate is €18,- at one of the 46 touring pitches at Camping des Favards in Violès (Vaucluse). At this campsite you can not only use your CampingCard ACSI for inexpensive camping, you can also use your ACSI Club ID (as an alternative ID). In a 20 hectare vineyard with a beautiful view of the jagged mountain range of the Dentelles and Mont Ventoux. Surrounded by natural scenery and close to villages such as Gigondas and Séguret for a nice bike ride, and larger cities including Orange, Vaison la Romaine, Carpentras and Avignon. Further out of the village than you think but worth the effort. Very friendly staff, lovely views and great wine tasting, definitely worth buying. Pitches flat and a good size. Would you like to book Camping des Favards or request more information? You can do both using the information below. Between Orange and Carpentras towards Violès and then follow the signs to the campsite. CampingCard ACSI will send your information request to "Camping des Favards".